“The staff is warm and welcoming. I could not be happier with my experience.” — Cathy P.
Eláen Plastic Surgery Center offers an array of plastic surgery procedures and treatments — including Facelift Mexico, Breast Implants Mexico, and Tummy Tuck Mexico. Esteemed plastic surgeon, Dr. Alejandro Enriquez de Rivera Campero, holds a very specific vision in mind when creating his plastic surgery practice in Mexico — as he wanted to provide an environment based on the principles of delivering affordable, superior surgical results without sacrificing high-quality patient care. Unlike all other neck lifting procedures, Neck Lift Mexico leaves NO unsightly scars and is performed under local anesthesia with minimal downtime. Dr. Alejandro uses Laser Liposuction to tighten the skin, which many surgeons in the USA do not offer. 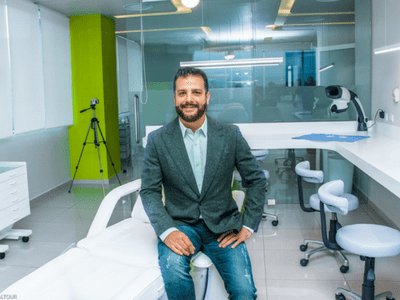 Are you interested in having plastic surgery in Mexico? 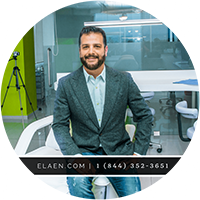 At eláen Plastic Surgery Center, we provide a caring atmosphere that sets us apart from the rest. After your initial consultation and evaluation, you’ll receive personalized surgical recommendations tailored to your cosmetic needs. Our team strives to provide exceptional care to patients — aiming to continuously exceed your expectations.